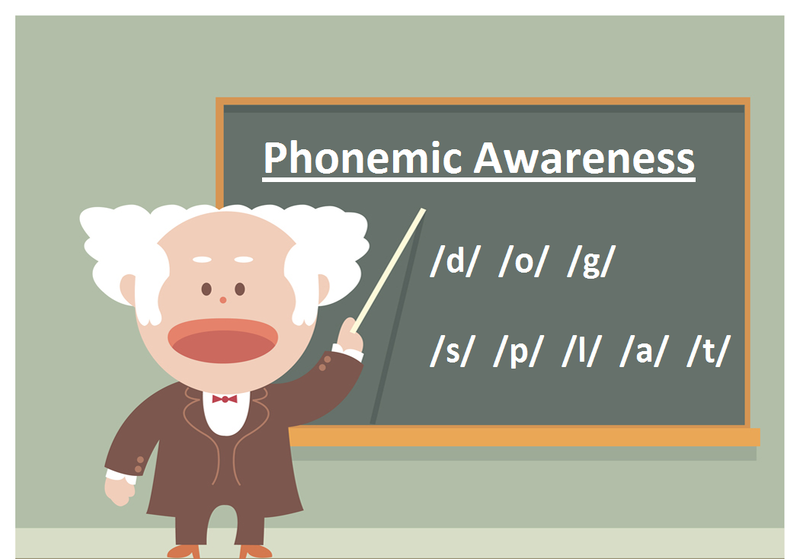 Phonemic awareness is actually a subset of a larger skill called phonological awareness which is the ability to hear, identify, segment, and manipulate speech sounds at the word, syllable, onset, rime, and phoneme levels. It is important to remember that phonemic awareness is an auditory and verbal skill. Phonemic awareness is a very strong indicator of students' reading abilities. Think about it: if you didn't know how to put sounds together, how could you ever form a word? If you can't form words, then how could you ever read them? Phonemic awareness might seem easy to adults, but not all children possess this skill without explicit instruction. It should become a formal part of any reading program, especially at the pre-kindergarten, kindergarten, and early first grade levels as it builds a foundation for future reading instruction like phonics. If students lack phonemic awareness, they are much more likely to experience trouble reading in later grades as well. The good news is that phonemic awareness can be taught, and students' reading abilities increase with direct phonemic awareness instruction. The National Reading Panel found that direct phonemic awareness training not only improved struggling students' phonemic awareness skills, but it also improved their overall reading and spelling skills. Additionally, direct instruction improved the spelling skills of students who were not struggling. The positive effects of this training lasted long after explicit instruction had ended. If you would like a more comprehensive resource, look at the University of Texas Center for Reading and Language Arts' professional development guide: Effective Phonological Awareness Instruction & Progress Monitoring. The guide is 151 pages and includes PowerPoint slides, handouts, activities, sample lesson designs, and progress monitoring materials.